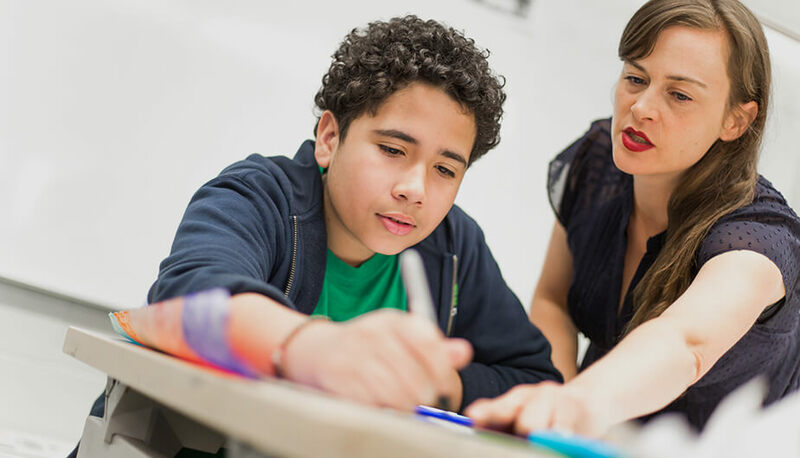 Arts is an integral part of the school experience at Inwood Academy Middle School. Arts education improves communication, collaboration, creativity, and critical thinking skills, which help to prepare our students for life and leadership. Validating our belief in the impact of our arts programs, extensive research has shown that students exposed to drama, music and dance are often more proficient at reading, writing, and math, as well as improving their social skills and motivation. Through our performing arts class, students learn acting along with directing, design, construction and stage management. They enjoy meeting professionals in the field, going to performances, and stage a musical, the most coveted school event of the year. The visual arts curriculum gives students an alternative means of expression and the tools to create their own unique personal voice. The class is an inquiry-driven learning environment where students seek the intersection of curiosity and creativity. The dance elective fosters student growth through the processes of dancing, dance making, and dance appreciation. Students gain knowledge of a variety of dance genres, including creative dance, modern dance, ballet, jazz, hip-hop, cultural dance and social dance. The new jazz band elective will focus on music theory, sight reading, ear training, performance, and improvisation. The class will meet twice a week and jazz band members will be expected to practice their instrument for three hours a week. Inwood Academy believes fostering five main character traits contributes to well-rounded individuals who care, give back, and lead.